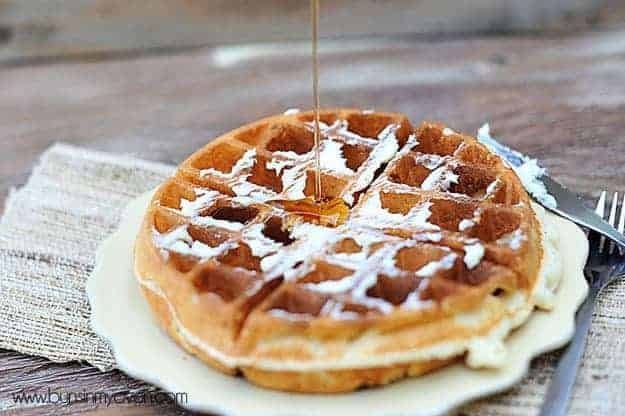 The Best Belgian Waffle Recipe - super crisp and airy! 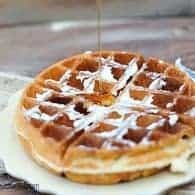 This is the best Belgian waffle recipe I’ve ever tried! They’re better than the ones we get at our favorite breakfast spot! I recently bought a waffle iron. It works so well and my kids and I are looooooving all the fresh waffles coming out of it every morning! You would not believe the waffle ideas that are constantly bouncing around in my brain. It’s sort of ridiculous. And, obviously, by “ridiculous,” I mean fabulous. You guys should totally come live in my brain with the delicious waffles. It’s a happy place up in there. Before I get all crazy on you with the strange-but-delicious waffle recipes, I thought it’d be best to start with the basics. This waffle recipe is the one. It’s the yin to my yang. The salt to my pepper. It’ really the best. Light and crispy and tender, but not mushy or soggy. Nobody wants a soggy waffle, you guys. Nobody. 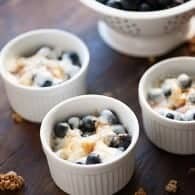 Top these off with a little maple syrup and some fruit for a perfect Saturday morning breakfast! 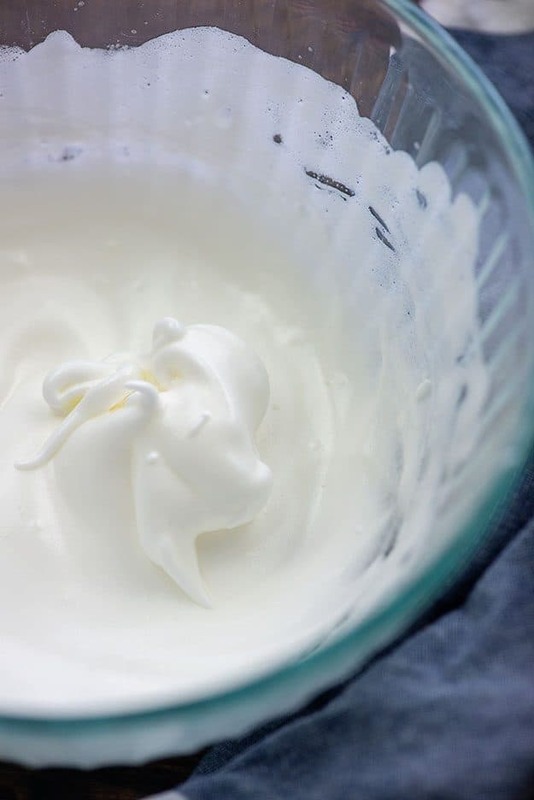 Once your egg whites are whipped to stiff peaks, you’ll whip up the rest of the batter. One of the secret ingredients here is cornstarch. It helps to make the waffle crispy on the outside and the whipped egg white makes it light and airy inside. Fold the egg whites into the batter and then grease up that waffle iron. These cook in about 3 minutes, but your mileage may vary, depending on your waffle iron. As you cook these waffles, pop them right onto the rack of a warm oven. They’ll stay nice and crisp and everyone can enjoy breakfast at the same time this way. Genius, right? This is the best Belgian waffle recipe I've ever tried! It beats restaurant waffles any day of the week! Heat the oven to 200°F and heat up the waffle iron. 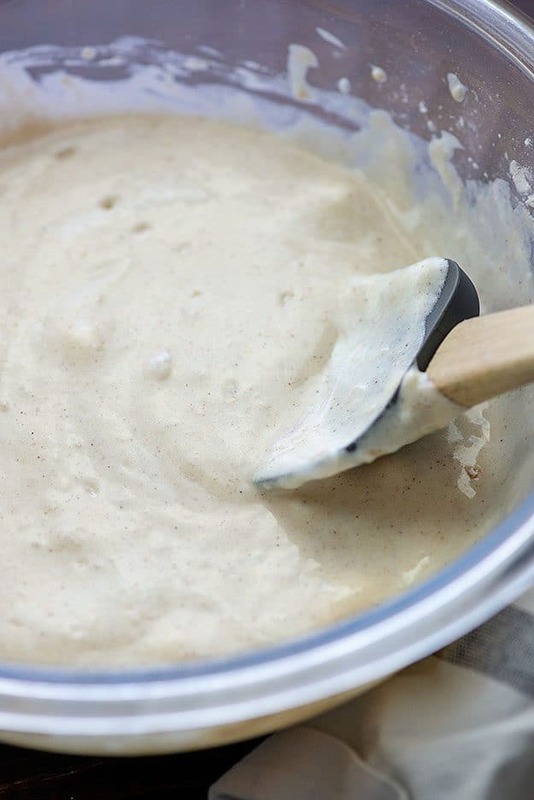 Mix the flour, cornstarch, salt, cinnamon, nutmeg, baking powder, and baking soda in a medium bowl. Measure the buttermilk, milk, and vegetable oil in a measuring cup and stir in the egg yolk. Set aside. In another bowl, beat the egg white almost to soft peaks. Sprinkle in the sugar and continue to beat until the peaks are firm and glossy. Beat in the vanilla. Pour the buttermilk mixture into the dry ingredients and whisk until just mixed. Drop the whipped egg white onto the batter in dollops and fold in with a spatula until just incorporated. Pour the batter onto the hot waffle iron (My Belgian waffle maker takes 2 1/2 ice cream scoops of batter, but your mileage may vary) and cook until the waffle is crisp and brown. Set the waffle directly on the oven rack to keep it warm and crisp. Repeat with the remaining batter, holding the waffles in the oven (don't stack them). When all the waffles are cooked, serve immediately. 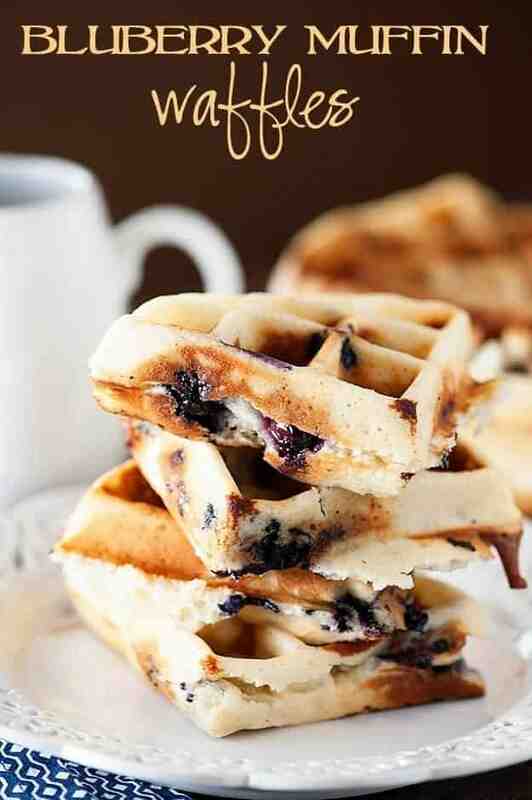 This recipe makes 4-5 waffles in my Belgian waffle maker. The number of waffles may vary depending on your waffle maker. This recipe was lightly adapted from Fine Cooking. Looking for more breakfast favorites? I can help! I there. I see you use the word, “amazeballs” and we here in South Africa use the word “a-ma-zing.” (Amazing) Can’t wait to try out the waffles. Thank you. Thank you, my life is richer now. I’ve been using this same recipe but with melted butter instead of oil, and without the spices. It is the best!! I’ll have to try it with the spices after seeing this. does this recipe double well? I like to make large batches and freeze them for quick breakfasts. My waffles turned out okay, certainly not the BEST we’ve ever had. But the real disappointment is that the recipe as followed only made three waffles. Three. ???? I should have known by the ingredients and I even said to myself, that’s not much flour, milk, etc. but I kept on. ???? Oh well. Waffles are light and crispy. This recipe made three waffles for two people. I would’ve preferred them to have a little more substance. Mine were not as thick as I would have liked. Topped them with some strawberry compote, but syrup and butter would have been delicious too. What waffle iron do you use? Mine are never that thick and I think it’s the iron. I don’t know where my head was when I was making these. First, I mixed the sugar in with the dry ingredients. Then, I forgot to add the vanilla until after I had already put some of the batter in the waffle iron lol. They still came out great though, thanks for sharing! How many waffles does this make? Thanks! It will depend on your waffle maker. My deep Belgian waffle maker makes about 3 of these, but the smaller “Eggo” style maker makes more like 8, if I remember correctly. In my Cuisinart Belgian waffle maker i got 4. These are great waffles but it doesn’t make but 8! That’s nothing for family breakfast! Double or triple this recipe in order to feed more than two people! Pingback: ?????????? ??????? ??????????????????????? !!! Pingback: Cowboy Casserole for Breakfast - a hearty breakfast recipe for the family! I used white milk and vinegar. I mixed it all up in the Vitamix, and they turned out great. Thank you. Pingback: Hootenanny - a cross between pancakes and French toast! Beat one egg white into soft peaks? Are you kidding me? It’s nearly impossible. I always have to double this recipe to come even close to beating two whites into soft peaks. Any advise or tricks would be greatly appreciated. I use a regular whisk and do it by hand. You can also try using a push whisk or an immersion blender with a whisk attachment if that’s easier for you. 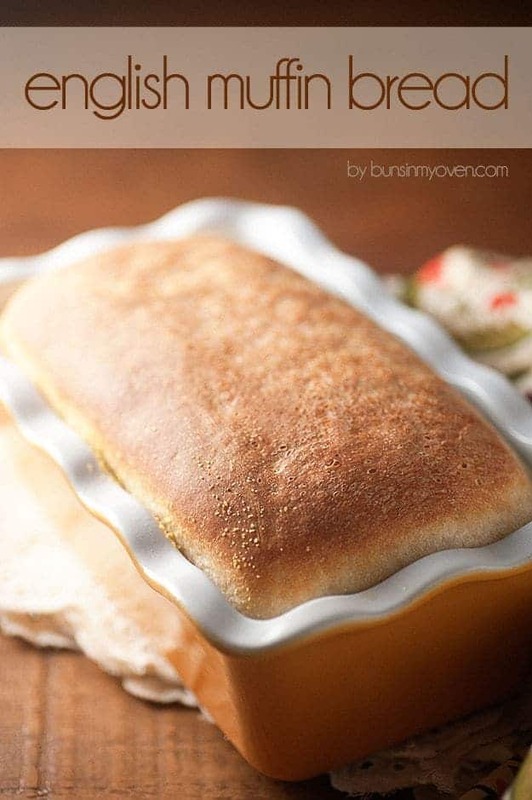 Love this recipe… I make it often for my family… their favorite! Made these today—these are what I’ve been missing in my weekend life!! Love them. Thank you! Oh yeah, this is now my go-to recipe. I used my 1 cup measuring cup as a batter scoop, it didn’t quite fill my waffle maker, so I’ll use a bit more next time. This made 5 waffles, probably 4 when I use more batter per waffle. Which is enough for the 2 of us, but for 2 big eaters, or more people, I’d double the recipe. I also didn’t have butter milk, so I just used straight milk. Super light and yummy! Cook until steam stops coming out the waffle iron. OMG! These are exactly what you said!! AMAZEBALLS!! I doubled the recipe and so glad I did. Thank you for sharing. 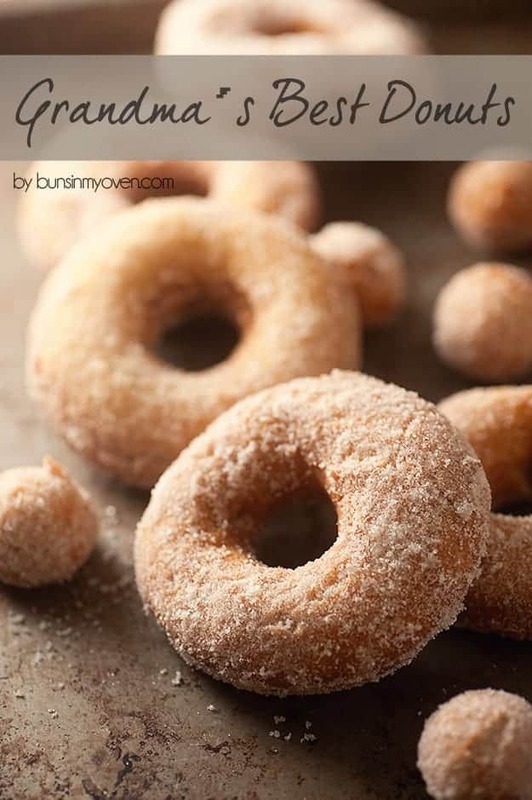 I’m deff adding this to my recipe book!! 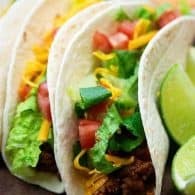 I made these last weekend and they were absolutely delicious! The texture was light and crisp and there was a lovely spiced flavor. I doubled the recipe and it made 6 large waffles in my Waring flip waffle iron. I served the waffles with Honeycrisp apples sauteed in maple syrup and butter. I froze the one left over waffle and toasted it last night and it was still great!!! This recipe is a keeper. Thank you! Hi, issit ok if i skip buttermilk? 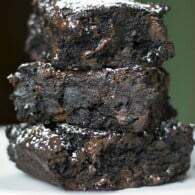 Can i use butter instead of vegetable oil? If yes, how much butter do i need based on this portion of recipe? Thanks..
You can make your own buttermilk by combining regular milk with a teaspoon or so of vinegar or lemon juice. I haven’t tried this with butter in place of oil, but if I did, I would use the same amount. I would not use butter because butter contains water. 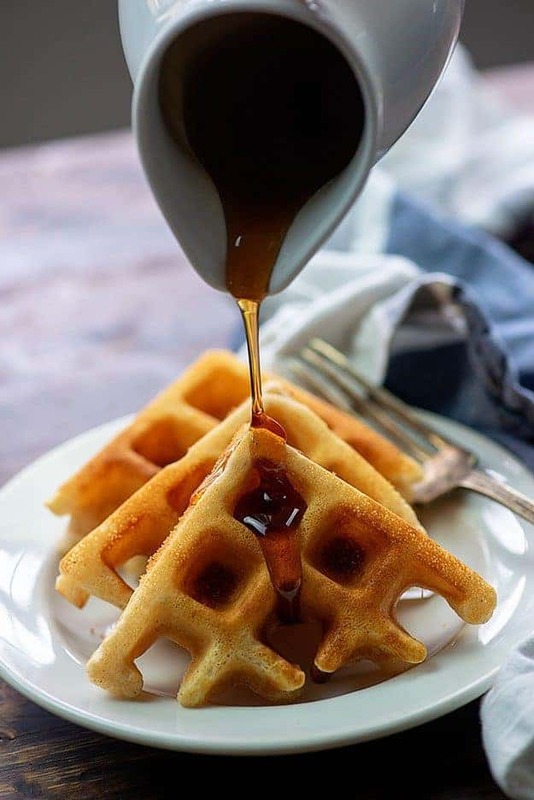 The oil used in this recipe is what keeps the waffle crispy. I’ve never had them turn out poorly. We made these to ring in the New Year on the right note this morning (and to break in the new waffle maker from the holidays). I knew I wanted to make a buttermilk waffle when I got to googling but the flavor with the spices is just perfect. Thanks for such a delicious recipe! As others have mentioned double (or triple) when serving more than three, I’d say. Happy 2019, y’all! 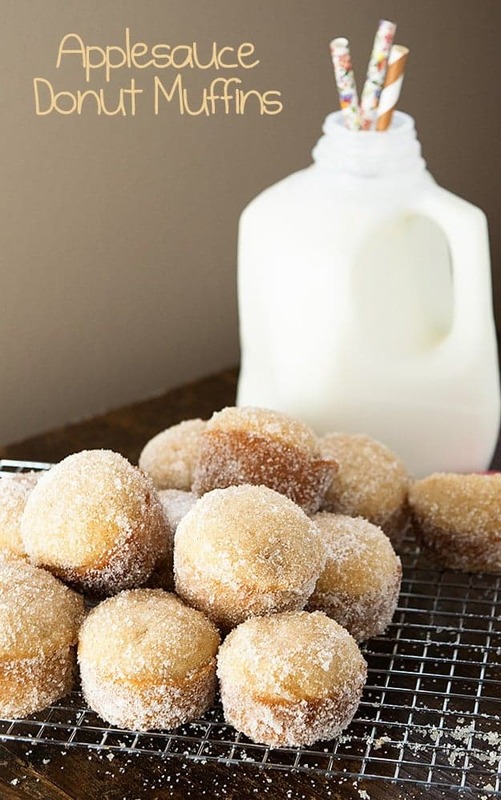 Do you think that maple sugar could be substituted for the sugar in the same quantity? I’ve never worked with maple sugar before, but if it acts the same as regular sugar it should be fine. These are quite good. We have a Cuisinart Standup waffle maker. She didn’t have all the ingredients so she had to make substitutions. My wife used the primary ingredients but substituted the spices with pumpkin spice. She switched all purpose flour to whole wheat flour. She also switched the buttermilk to whole milk plain yogurt and the amounts switched (yogurt – 1/4 cup, milk – 3/4 cup). She ended up adding a bit more milk to make it smooth enough to pour (because the waffle maker is vertical and needs to be poured). They came out crispy and really flavorful and that was really shocking because she used whole wheat flour. This really is a good recipe. People should play with it to meet their needs. Left out the cinnamon but otherwise Ed Zachery like the recipe and they were 1derful! Karly, these waffles look so good! I can totally imagine what’s going on in your brain with all this waffle deliciousness. This stuff keeps me awake at night! 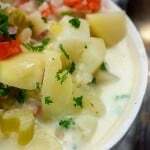 it is really good recipe , thank u ! But i have a problem , when i make waffles with this recipe , it sticks on waffle machine . How can ? solve it ? 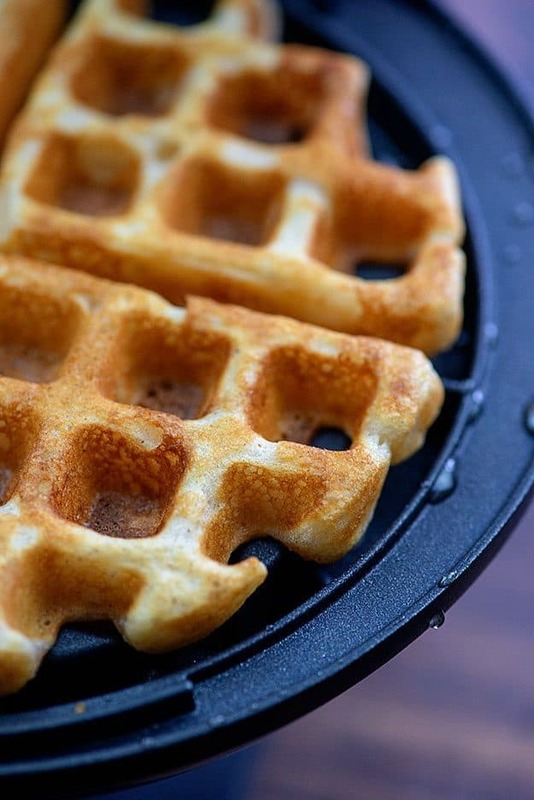 Do you spray your waffle iron with non-stick spray? I usually spray for the first one and then don’t need to again for that batch of waffles. But I’ve never had an issue with these or any other waffles sticking either. 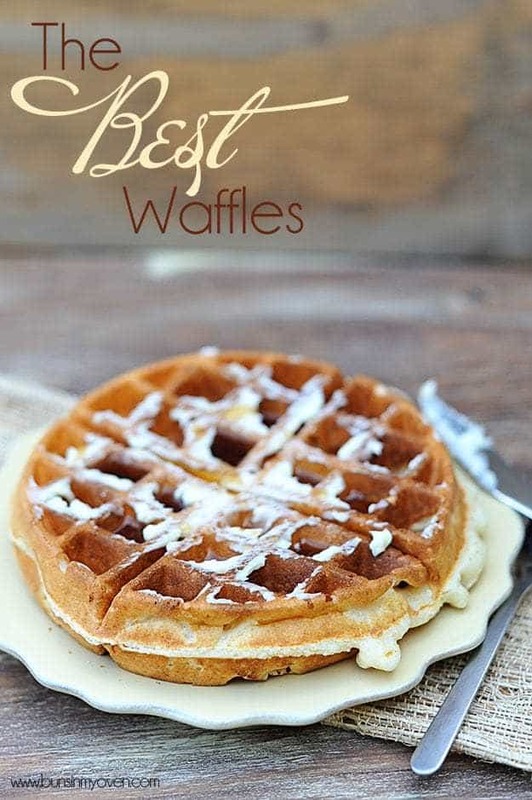 Your waffles look PERFECT! Thanks for sharing your awesome waffle recipe — I can’t wait to try it this weekend! This is officially my go-to waffle recipe! I just made it again this morning, but subbed GF flour and homemade almond milk “buttermilk” (1 cup almond milk + 1 tbsp lemon juice, let sit for 10 mins to curdle). My MIL is allergic to both wheat and dairy and I wanted to make sure she could partake in the waffle goodness this morning. These were still so good- even with the substitutions! Thank you for such a yummy recipe! Here’s the crazy thing…I forgot they baking powder. I have never had such delicious- melt in your mouth waffles!! Thin… crispy…buttery. incredibly delicious!! thank you fo such mouth watering recipe.